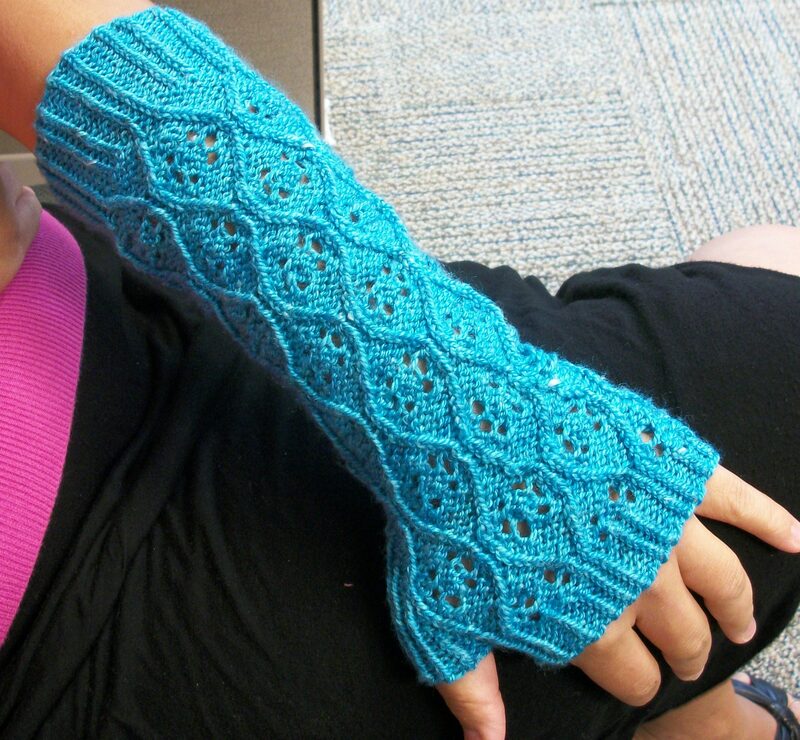 Bonnie Mitts | Kaleido by Silkie B.
Bonnie Mitts is a design inspired by my sister Bonnie. It features allover lace motif with wavy border. 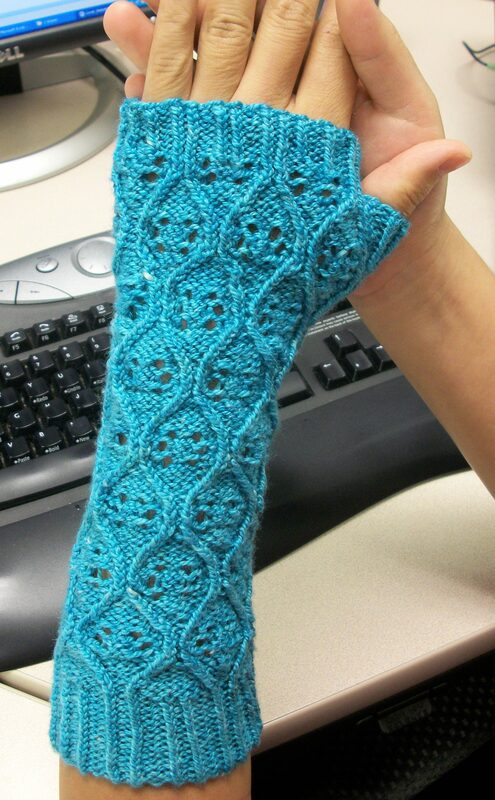 The mitten is worked in the round using magic loop method. 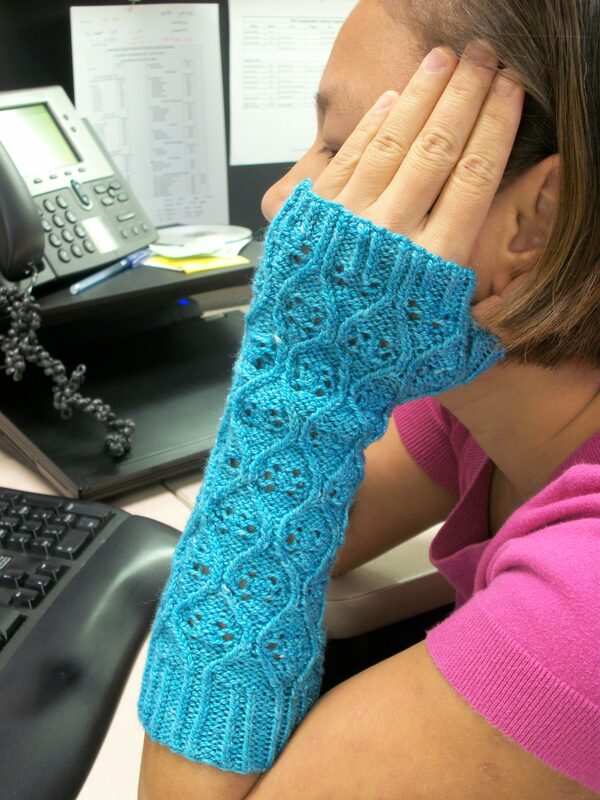 For more information and design behind Bonnie Mitts, please visit my blogs. The Pattern includes detail written instruction of the gloves, a chart to support the design and the instruction on Magic Loop method. I also include the possibility of making a smaller size. Instead of making it yourself, if you would like to have Bonnie to be custom made by me, please feel free to contact me !